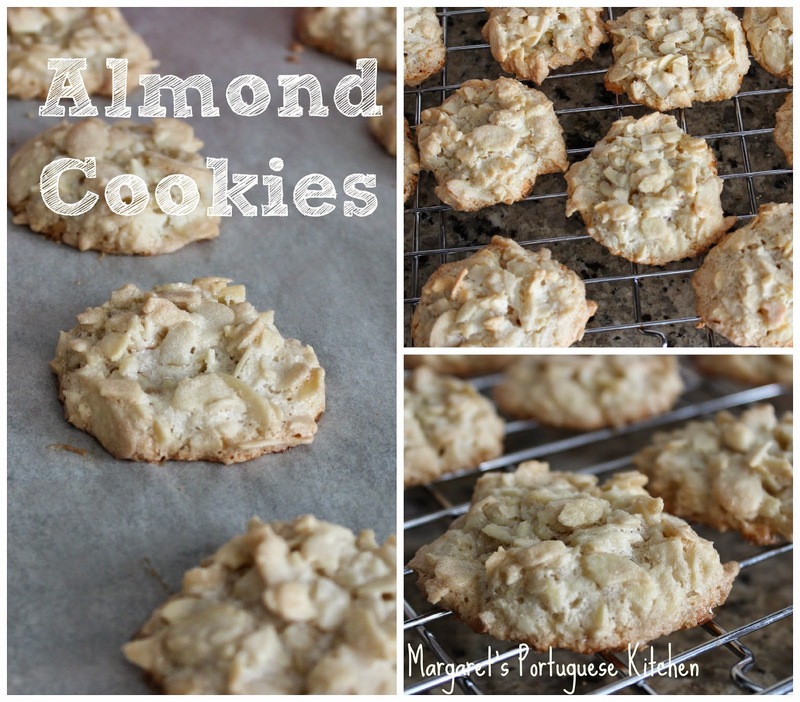 The easiest…no flour…almond cookie recipe! This recipe was given to me by my aunt. 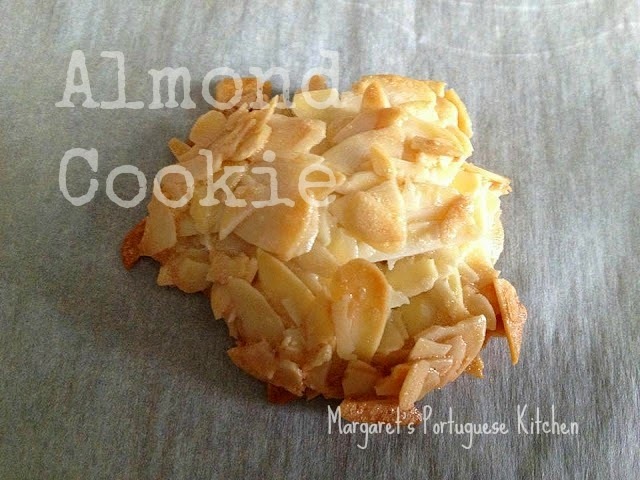 I made these cookies last week and everyone loved them. Add parchment paper to cookie sheet. Mix the egg whites with the sugar and vanilla until well blended. Add the sliced almonds and mix well. Drop by spoonful onto the cookie sheet. 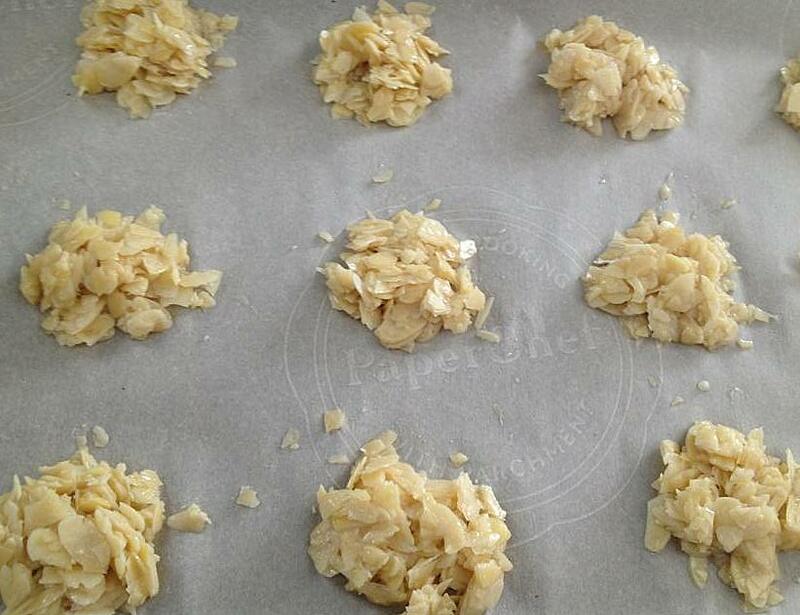 Spread and flatten with fork if you would like cookies to be thin. Bake until golden and set, about 10 minutes. Allow to cool for a few minutes on parchment before removing cookies to wire rack. 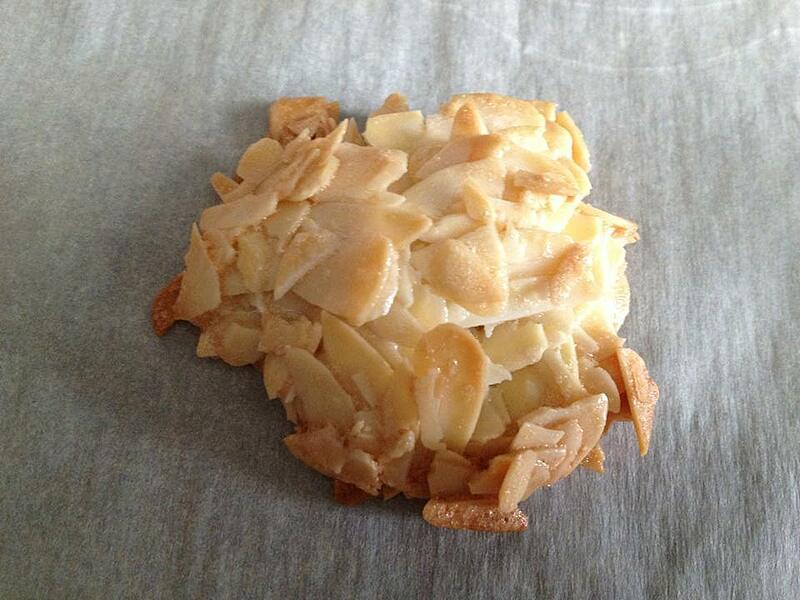 It is best to peel parchment paper off of cookies so as not to break them. Cookies will continue to harden as they cool. I drizzled some with melted chocolate and dusted others with powdered sugar…the chocolate drizzled ones were the first to vanish. And they are gluten free… love them! Thanks Shauna and thanks for hosting!